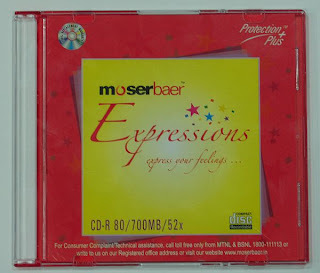 Indian tech blogger Sudeep Naik takes a new product for a spin: scented CD-Rs. The discs smell like rose—a scent that manufacturer Moser Baer claims will last for two to three months. Naik figures it’s the perfect medium for the mix tape he promised his girlfriend—and just in time for Valentine’s day. This reminds some of us of the legendary Charles of the Ritz Aroma Disc Player from the 1980s. Scent was released as the player heated a fragrance-impregnated disc. The unit featured discs called Movie Time (popcorn) and Holding Hands (lilac musk) and was written up in The New Yorker’s Talk of the Town. You might think twice about playing a scented CD if your laptop is the Asus F6 model that comes with the scented lid. Will Musky Black work well with rose? ah! I posted one about a rock CD scented with jasmine! so now it is becoming a fashion! Are Melissa Shoes like the Crocs that are so popular here? Seems like it would be easy to give them a scent too. Nope dear, melissa shoes are a fashion statement. They have Vivian Westwood, Karim Rashid, and other international designers designing their products. I know crocs it is a fever, but Melissa is different. How would you scent crocs?